Karma as a concept has earned an interesting place in the Western millieu. 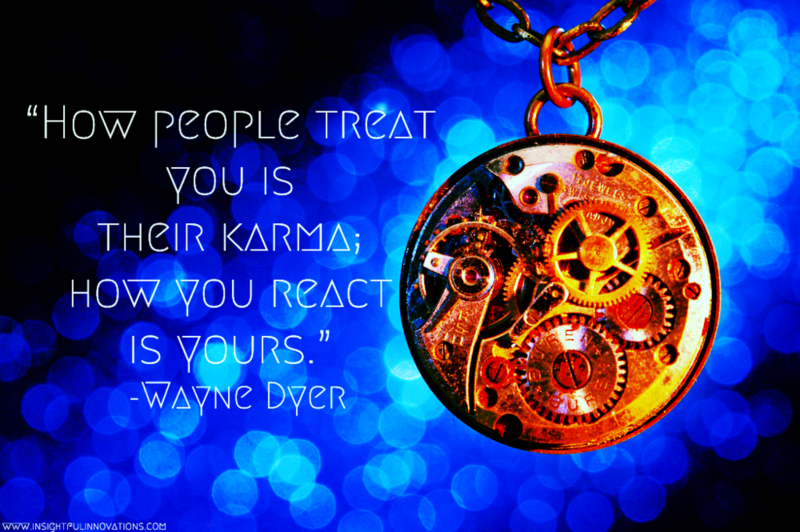 Interestingly enough every time I hear someone mention karma they are usually pissed off and hoping somebody "gets what they deserve" or singing that Boy George song, (which incidentally makes no sense to me on any level). And while an aspect of karma involves people "getting what they deserve" it goes much deeper than that. Karma, at its root refers to the Universal laws of cause and effect. In the scientific tradition (a la Isaac Newton) we think of it as "every action has an equal and opposite reaction". In the Christian tradition it is, "you reap what you sow" and in the popular vernacular we often say "what goes around comes around" (put to a catchy pop beat by Justin Timberlake and you have a top 40 hit). I have read a fair amount on the topic and one of the more interesting aspects of the concept is that it existed in most of the world's wisdom traditions (both Eastern and Western) before those texts were reinterpreted. You can find traces of karmic philosophy in everything from Buddhism and Hinduism (in which it is heavily built into the cosmology and philosophy), tribal cultures (specifically African, Latin and Native American tribes), Christianity (Gnostic traditions in particular), Judaism (specifically Kabballah) and others. Some of them integrate the concept of past lives while others do not. Past lives are a touchy subject for many Westerners so it is largely left out of the popular Western interpretations, although the topic of past lives was fairly commonplace in many Western religious texts before the middle ages. The popular understanding of the concept "getting what you deserve" is indeed one way to understand it, but I think it often has a negative connotation and is taken too literally. One can have a cache of negative karmic sanskaras (or ties) or positive karmic ties. This means if you help a beggar on the street you could be repaying a debt that was owed to that beggar or someone else (paying it forward). If you "believe in" past lives than it could be that that beggar helped you in a pervious lifetime so when you crossed them in the street you felt compelled to give to them to "balance" the debt. Or it could be a more spontaneous event, where you felt compelled out of no connection to the person but something that rose in you that caused you to be charitable. Either way your karma influenced the decision in some way. We can (and likely do) have karma with our family members, which is often why our relational ties to them are so strong and sometimes volatile or intense, in addition to our partners, friends, coworkers or the guy that stole your suitcase at the airport. For those who believe that this life is it, it may be useful to think about karma in terms of the deeds you do on a daily basis as well as the energy you bring to others and your intention in your actions. If you approach someone with the intention to lie or take advantage of them, you are designing a karmic program that will ensure that at some point you will have to experience the other side of those actions (mentally, physically, emotionally, spiritually or all four in varying degrees), which is meant to foster greater empathy and understanding. Balancing our karma can be quite literal. Bob steals from Carol and Carol steals from Bob. One and done, karmic contract complete. Often it is more indirect, symbolic and intricately woven than this; and can sometimes play out in ways we could never imagine and impact people we would never dream of. Karma is not meant to punish or reward, although some of the consequences of karma may be more or less punishable or rewarding to us. The purpose of experiencing karma in our lives is to push us toward greater understanding of why things are happening. 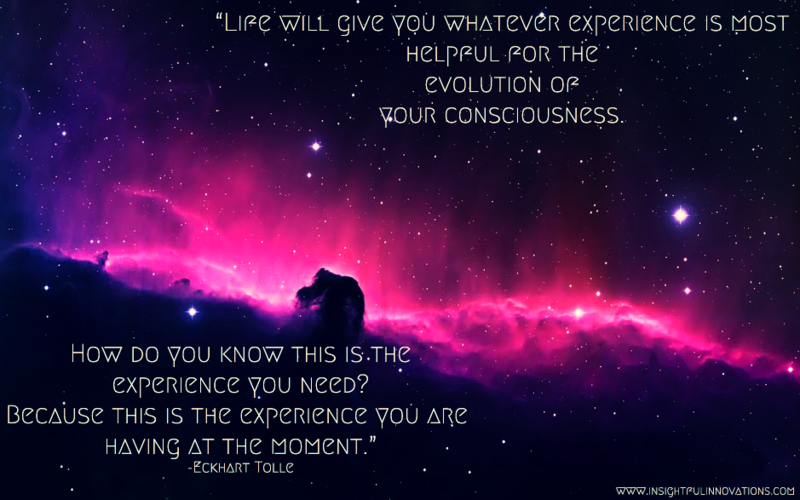 Lack of understanding creates the need to experience something in multiple ways until we "get it". This could take a moment or lifetimes. These experiences can be glorious if the karmic lesson you are working with involves learning how to manage wealth or an abundance of love, but eventually the wealth will become cumbersome and the abundance of love could be smothering and you will be pushed to another level of understanding about those experiences. Joe grows up poor and resents the wealthy because they can get whatever they want and don’t have to worry about bills. Joe spends most of his life dreaming of being rich while resenting the experience of the rich because the believes hey don’t understand the hardships as a poor man. He finds “them” callous, removed, snobby and uncaring. Ironically Joe buys lottery tickets every week, hoping to strike it big and quit his job at the factory the men in his family have worked at for 3 generations. — Karmic Anecdote of "Joe"
Joe's experience was given to him so he could develop greater empathy for the "greedy rich". If you were a subscriber to past lives it could be training for a later life so he could practice being rich. Perhaps in a future lifetimes the consciousness of Joe would be born a very wealthy woman and would need to remember his experiences as a poor man, specifically that life time as "Joe", in order to feel a sense of wanting to help those who were in need. The possibilities are endless. We can have individual karma and group karma. If you were a fan of the show Lost, think about the ways in which those people's lives were intertwined to get an idea of how intricate the web can be. It's an awesome popular representation of the principles of karma at work. The important thing to remember about the true nature of karma is that it's about our understanding of the circumstance not the circumstances themselves. We do not dictate the terms of the karmic payment or reward. We cannot initiate the karma (that's just revenge or philanthropy and it merely creates more karma), but only do our part to understand our experience as best we can, and make the wisest choices of the moment. We can ask ourselves "what is the lesson I need to learn from this experience", and it may be hard particularly if we feel victimized. Some karmic transactions are more clear, while others may take some time to unpack. Whatever the case thinking about our lives and what happens to us in this way if nothing else makes things a little more interesting and brings a fascinating element of depth and meaning to our lives.